We are now Connecting Communities! Since we were founded in 2012, our focus has changed from purely dementia friendly work to social inclusion. To reflect this progress, we feel it is time for a change of name. From 16th March we will be known as Connecting Communities. Dementia Friendly Communities (DFC) was originally developed in 2012 to support rural dementia families, but over time we have realised dementia only is too small a parameter for rural villages and that a socially inclusive programme which relies on the compassionate support of the whole community to sustain all older folk – irrespective of their situation – was a far better option. Since 2012 we have spearheaded transformational change for dementia families in remote rural areas. Over the years a socially inclusive community ‘Circle of Support’ for all our older folk – not only people affected by dementia – was developed which is so successful that DFC Helmsdale is now regarded as a model of rural excellence for community support in the Highlands and is working with NHS Highland to roll out a similar Compassionate Community programme across the Highlands. We would like to reassure our regular members and customers that this change will not affect the work we do and we look forward to continuing to see and support you. Experienced and aspiring artists from Helmsdale, Brora, Golspie and neighbouring villages have been gathering over the past two years for a range of successful Art ‘n Blether sessions, inspired by the picturesque views in and around East Sutherland. Art ‘n Blether is led by Helmsdale-based landscape artist Anne Little who is originally from the small mining village of Calverton in Nottinghamshire. Anne is guiding and supporting participants through a variety of styles and techniques, including portraits and landscapes; painting with watercolour, acrylics and oils; glass painting and clay modelling; as well as drawing with pen and ink and charcoal. Sessions, which are open to all members of the community over the age of 16, have often involved field trips to paint local landscapes, including Berriedale, Strath of Kildonan, Loch Brora and Helmsdale harbour. Each class is followed by a pop-up café, giving a chance for a break and extra socialising over a cup of tea or coffee and some home baking. In March 2018, an exhibition of Art ‘n Blether work was held at Timespan Museum and Arts Centre, which proved to be very successful. Art ‘n Blether classes take place at Seaforth House care home in Golspie on a Tuesday from 1-3pm, and at The Bridge Guest House in Helmsdale on a Wednesday from 1.30-3.30pm. To find out more visit our Art ‘n Blether page, visit the Art ‘n Blether Facebook page, or email art@dementia-friendly.com. Skye, an Akita/Bulldog, from Alness was chosen as top dog at our 3rd Helmsdale Dog Show earlier this month to the delight of owner Greg. Skye, who also won Best Cross Breed, was up against 38 other competitors to win the accolade. Over 100 people were in attendance to watch as the dogs went up against each other in 11 categories, including Best Pedigree, Best Veteran and Waggiest Tail. Competitors gathered from villages across Sutherland, including Bonar Bridge, Brora, Golspie, Helmsdale, Portgower and Rogart. Others travelled a greater distance from Alness, Invergordon, Inverness and Portmahomack. Most impressive though, were those who hailed from Edinburgh, Kirkcaldy and Puddletown (Dorset). Beccy Clay, owner of Tess the Pointer/Setter made the journey for the third year running from Drumbeg. As well as the competition categories, each dog was able to take part in the Fastest Recall challenge in which the time it took them to reach their owner, with a number of distractions along the way, was recorded. The fastest small dog, Kayla the Shih Tzu (owned by Nicki Hughes from Brora), and fastest large dog, Skye the Border Collie (owned by Hannah Munro from Portmahomack) received an engraved glass from Alsorts Arts and Crafts to mark their win and some Tecxys herby dog treats, made by Sandra Mackenzie in Rogart. The Judge on the day, for the second year running, was Annabell Broom from Aunty Annabell’s Dog Training. Annabell had her work cut out for her with 26 different breeds in total. The final category of the Show was the Dog the Judge would most like to take home. After much deliberation, Annabell chose Mac of Springfield the Teckel, owned by young Ailsa Shaw from Helmsdale. Mini Reiki sessions with Kareen were available on the day for both dogs and owners. Tea, coffee, soup, sandwiches and home baking were on offer in the Community Centre hall, alongside table-top displays from The Highland Hound, Crafty Crofter, Yvonne’s Wee Honesty Box, Highlands of Scotland Pets as Therapy, Weaving Heart Wood, SSPCA, Jo Henderson’s Crafts, and the Helmsdale Village Hub Pop-Up Shop. For the third year, Easter Ross Vets very kindly supported the cost of rosettes for the winners. A variety of raffle prizes were on offer courtesy of a number of local businesses and individuals including Maisie’s Daisies, Spar Helmsdale, La Mirage and Nicki Hughes. The Helmsdale Dog Show is organised and run by our Helmsdale Village Hub and the event raised £830, which will go towards the running of the Hub. The dogs are coming back! In May, Alzheimer’s Society launched their new Dementia-friendly rural communities guide, the result of the Prime Minister’s rural dementia task group. Our founder and Chair, Ann Pascoe, was a part of the task group, sharing our experience of the challenges faced by those working towards becoming more dementia-friendly in a rural location. Our interactive screens project features in the report as a good example of a technology-related dementia-friendly initiative. To find our more and read the report visit the Alzheimer’s Society website. We’re looking for a Modern Apprentice! In April we were delighted to receive news that the Big Lottery Fund had approved £112,000 of funding to support our work over the next three years. This will make a huge difference for us and ensure that our work at the Helmsdale Village Hub, as well as our Dinner To Your Door and Bridge Over Troubled Waters services, will be guaranteed for the coming years. We are very grateful to the Big Lottery Fund for this support. Our new Art ‘n Blether programme starts today, following the success of our recent series’ of sessions. The courses take place at Helmsdale Community Centre from 1.30pm to 3.30pm on Wednesday afternoons. Each session costs £5, which is inclusive of all materials and tuition. more information do get in touch through our website here or, by email to karina@dementia-friendly.com or by calling us on 01431 821655. On Saturday 17th March, we held the Helmsdale Village Hub Open Day at Helmsdale Community Centre. This was a free event for the whole community, showcasing the best of what is regularly on offer at the Hub. Throughout the day there was live music, bingo, arts & craft activities, a baking stall, mini Reiki sessions, a nail bar, exercise demonstrations, a pop-up shop, a raffle and the day was rounded off with a fantastic demonstration from local dancers. For the youngsters, the minions movie, Despicable Me 3, was shown on our large cinema style screen, there was a lucky dip and face painting. Our Dinner To Your Door café offered freshly made soup, sandwiches and a number of delicious puddings as well as tea, coffee and home baking. The Open Day was a great day out for the whole family and raised a fantastic £518. A big thank you to all those who came along and supported the event. We hope to run another Hub Open Day again in 2019! 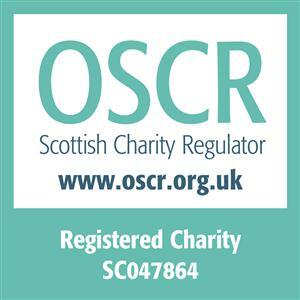 We are delighted to announce that we have now become a charity, recognised by OSCR, the Scottish Charity Regulator. The decision to move from being a Community Interest Company to a charity was taken to open up new avenues of funding and maximise on any funding received. This change in status will have no impact on the operations of the company or our services and activities, just on our name, which is now Dementia Friendly Communities Ltd.